Letters to Norah // 18 Months — HELLO, NORAH. Sweet girl, today marks a year and a half since the first time we held you in our arms, since the first time our fingers seemed enormous wrapped in your tiny hands, since the first time we got to tickle your little feet and count your ten tiny toes. Every second of that day is seared into my memory. I can close my eyes and see your precious button nose peeking out at me from inside the NICU transport carrier while I was still on the table in the OR — just thinking about it causes the same full-body response to seeing you for the first time. As babies grow up, we celebrate their milestones and everything they're busy learning and accomplishing in their tiny lives. You, sweetheart, are no different. The older you get the more you do, and the stronger you make your presence known in our daily lives. August was a prime example. We kicked off August raising over $4,000 for the Ronald McDonald House as Team Norah! Incredible! ENDLESS THANK YOU'S to every single person who walked with us, supported us and for every single dollar that was donated. We had a blast walking in the rain — Team Norah was unmistakeable! There were even cupcakes and some singing as a cherry on top of a great way to celebrate my birthday. Last year we were the top fundraisers raising almost $7,000. This year there were at least 5 teams that raised that much and significantly more! 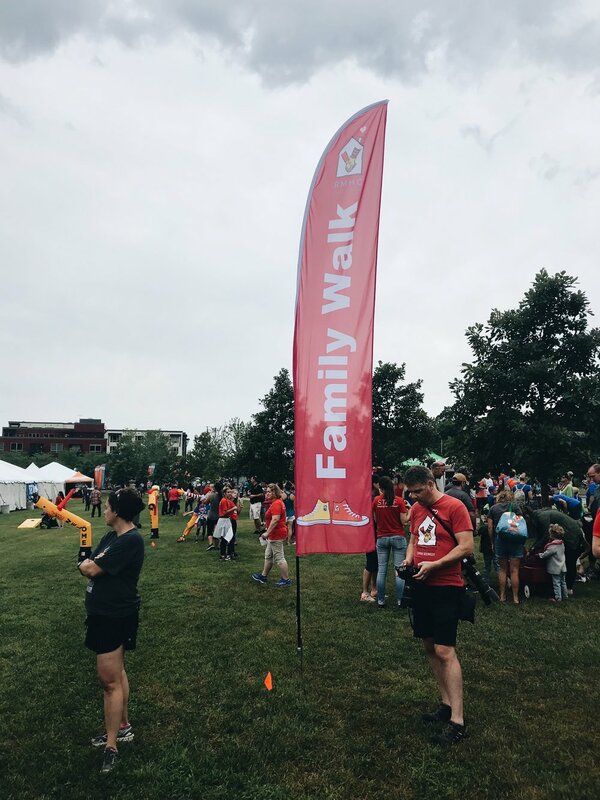 This is the only the second year of the family walk and we like to think that our fundraising last year played a part in motivating the other teams to raise even more this year. Norah, inspiring some healthy competition can have some beautiful results. The gift the RMH gave to us is irreplaceable, and because of that we will spend the rest of our lives making sure that other families are given the same opportunity — the incredible gift of time. We're buying our first house! A few days after the RMH walk we kicked off our house hunt and now we will be closing on a house that is perfect for us on the 21st! You and your Grandma have been so present throughout this entire process, Norah — from your grandma reminding me to pay attention to detail and to make all the lists, to you reminding us to slow down and appreciate it all. The overwhelming peace we feel when pulling up to our new house makes it clear that this house wasn't just picked out by us. You held our hands through your little sibling's anatomy scan. This is the appointment where people generally focus on finding out the gender. For us, gender was just an added bonus. The primary objective of this appointment is really to analyze and measure growth across all major organs, body systems, and the body as a whole. Your anatomy scan is where we found out that you and God had other plans for us, Norah, and you knew that we would be anxious for this one. 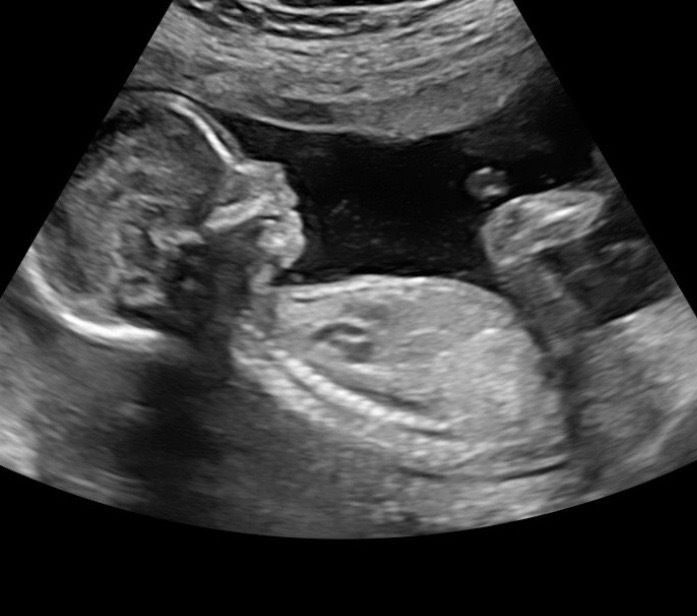 Our ultrasound tech was wonderful and we even had the same doctor that did your anatomy scan review your sibling's! He is such an angel and having him there really helped to put us at ease. The best part, however, was learning that your sibling has no abnormalities and is completely healthy. This is an absolute miracle and we count it as nothing less. Norah, you are an incredible big sister and an amazing daughter. We thank God every single day for giving us the gift of being your parents. She holds onto hope for He is forever faithful.